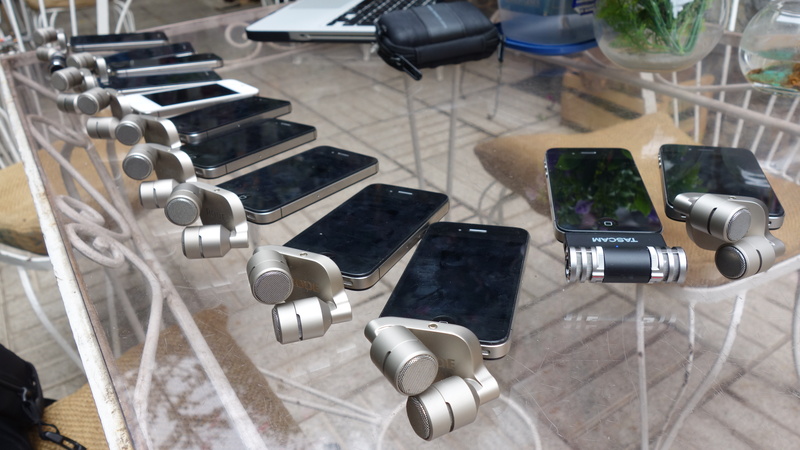 Coextensive Ubiquity is a project in which I’m positioned 12 stereo microphones in different areas of a city. Simultaneous sound transmission is then made possible through the use of a special implement. This project goes far beyond music, it is an adventure in sound, an exploration of perception and an experience that concerns itself with the phenomenon of ubiquity. I gave a concert in December 2017 in Valparaiso (Chile), where I experimented for the first time with my notion of “ubiquitous listening”. I called upon the audience to experience the listening of their city through the multiplied perspective of different sound scenes, all of which were combined to co-exist in a way that escaped the fixed nature of our daily listening which of course remains absorbed in only one situation of place and time. 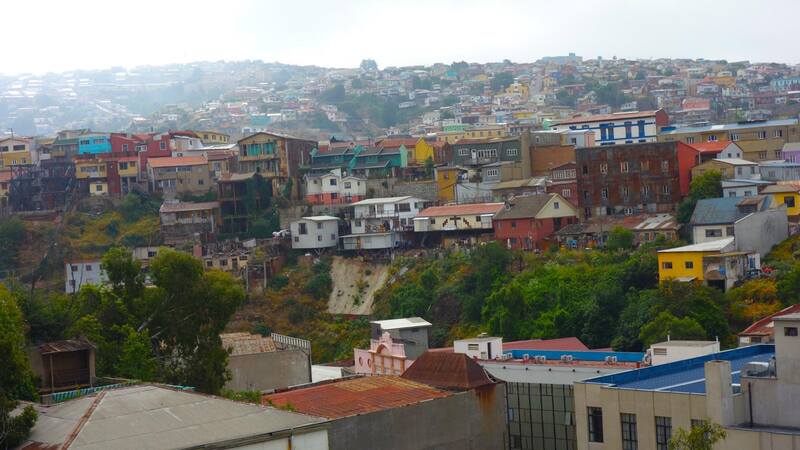 To realize this project, I had scattered in the city of Valparaiso several stereo microphones which, like pairs of ears, sent me their signals – soundscapes that I would chance upon at the moment and combine live from my mixing table. The panoramic noise of the city produced a vast field of simultaneous realities: from the loud roar of the sea, and the clamor of fish traders at the markets, to much more intimate details such as that of doors as they creaked, and seagulls as their wings flapped in the air. This way of working with different scenes and sonic proportions is risky for any composer who is used to working with fixed sounds, but it opens the door to new possibilities and perceptual experiences. Musique concrète, in the vein of which I associate with this project, allows the composer to play with time, to transgress it and to reconstruct it. Through this creative process, by means of simultaneous sound transmission, our relation to the present is brought to a new dimension. As I experiment with the vastly different sound perspectives that are afforded through the phenomenon of ubiquity, I am attentively shaping the contrasts that emerge. I am able to combine site transmissions that bear radically divergent proportions – individual soundscapes that tend to offer a very dynamic range from the barely audible to the deafening, as well as soundscapes that sound more or less distant in the geography of the city. I believe that the principal point of interest of having the technical ability to combine live site transmissions is that it permits a conceptualization of sound composition as a form of storytelling where numerous narratives are suddenly capable of being juxtaposed together. Furthermore, simultaneous sound transmissions grant the composer the ability to occupy a double role: that of spectator because he must discover the sounds live, and that of composer because he then must organize and link the scenes. At the beginning of 2019, I will work for three months on this project and with this device of simultaneous transmission of sound with the city of Tokyo at the Tokyo Arts and Space (TOKAS). I will also work with other composers located in other countries and to whom I have proposed to send them the sound signals that I will collect, at specific times beforehand, so that they interpret them in their own way and organize them in their turn in a musical work that would be marked this time with their own poetics. What interests me about involving artists from different countries is the duplication of the principle of ubiquity. These real-time diffusions will occur at predetermined times and allow them to interpret the simultaneous transmissions in their own way, organizing and processing them into musical works that bear their own individual aesthetics. In Montreal Maxime Corbeil-Perron, Alexander Wilson in Copenhagen, Lionel Marchetti in France, Hanna Hartman in Berlin, Sara Magnan in Mexico, Vanessa Massera in Stockholm and Pierre Alexandre Tremblay in England. 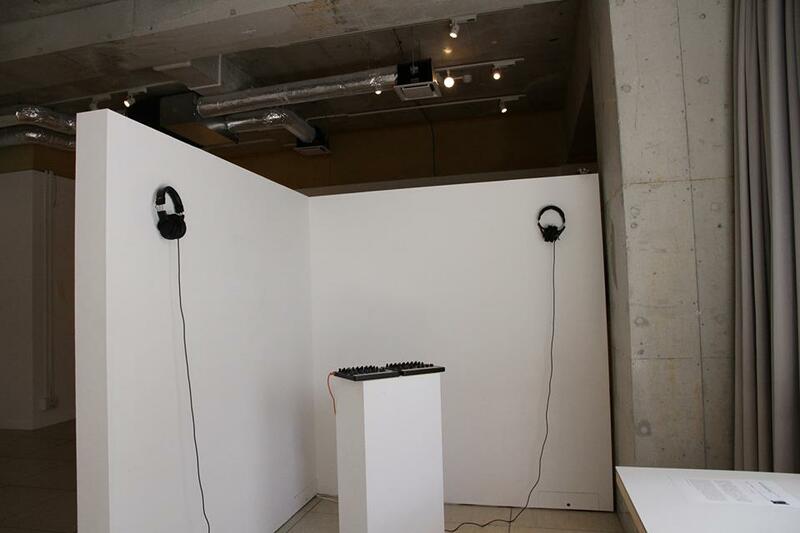 The works of each artist will be recorded and made available to the public thus eventually allowing people to hear how each one was able to recompose according to his/her own personal sensitivity a “sound reality” that is unique yet shared at their foundation. This idea of collaboration seems to me a logical extension a research, which questions precisely the notions of simultaneity, distance and perception. Le dernier album de Political Ritual est une expérience particulière. Créée dans une période faite de deuil, d’abus de substances, d’inquiétudes géopolitiques, d’amour à distance et de rituels amicaux, en vrai le seul dénominateur réel sur cet album. Une nouvelle lutherie aussi, faite de touches de claviers difformes et d’effets vaporeux. À certains moments, l’un défoule sa rythmique par besoin: sur la peau d’un violoncelle craqué, ou d’un orgue brisé. À d’autres, sont improvisées des lignes modales sur un harmonium de mariage acheté à un vieil affamé d’un village Indien. Enfin, les échos le sont au sens littéral; car cet album est aussi un rêve travaillé sur une période déjà un peu effacée, gravée à l’arraché, parfois d’un automatisme instinctif galvanisé par les impératifs du plastique. The latest Political Ritual album is quite a peculiar experience born out of mourning, substance abuse, geopolitical concerns, long-distance relationships and friendly rituals — actually the album’s only real common denominator, along with a new set-up comprising deformed keyboard keys and hazy effects. Sometimes the need to let go of one’s rhythmic needs arises — at the expense of a cracked cello or a broken organ. Sometimes a wedding harmonium bought from an old, hungry man in an Indian village improvises modal lines. In the end, all echoes are real because this record is also a dream from a hastily recorded and already fading away era — at times drenched in the instinctive automatism galvanized by the requirements of plastic. Here are two twenty minute-long pieces: improvised sound rituals successively sculpted by the magic of matrix polarization. If you are looking for meaning, read Nietzsche or Cioran, but do not expect any claim from us. The only thing that matters is to crank up the volume and join the ritual we have concocted thinking of you, and especially of us. The plastic and the oil are in front of you, the stylus is wearing out, as it is, perhaps, a little bit of absolute. 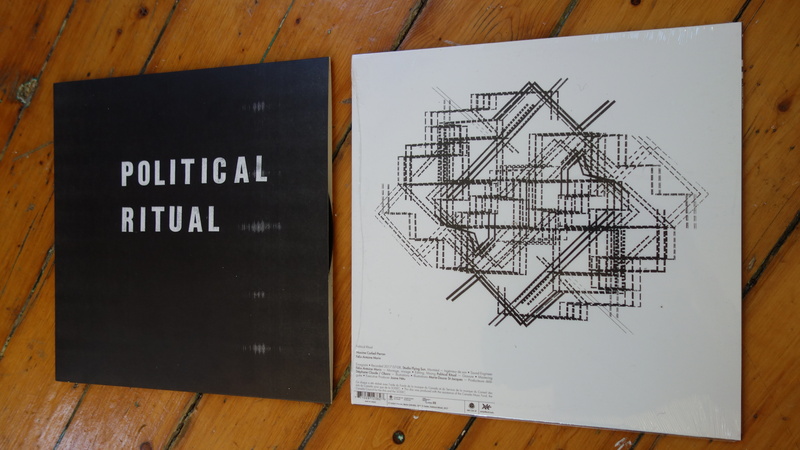 Somewhere between cosmic minimal techno and abstract sound art, Political Ritual’s high toned oscillations, unpredictable frequency manipulation and dark drones form a hypnotic mantra – though their benedictions don’t last long, breaking in a cathartic crescendo or a cacophony of percussion that resolves in silence. 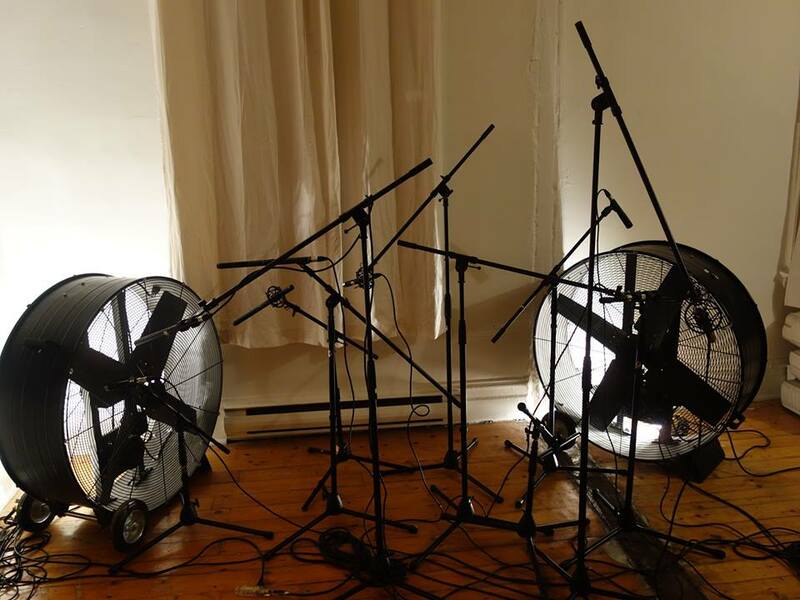 Pushing the boundaries of abstraction, these expert improvisors in analog modular and digital synthesis incorporate invented wind instruments, traditional Balinese percussion, field recordings and digital signal processing into their compositions, intent on shaping a transcendent listening experience. Political Ritual build their music in architectural and woven layers of harmony and polarity, arranging ethereal drone next to hard edged buzz or cinematic movements alongside pummelling beats. 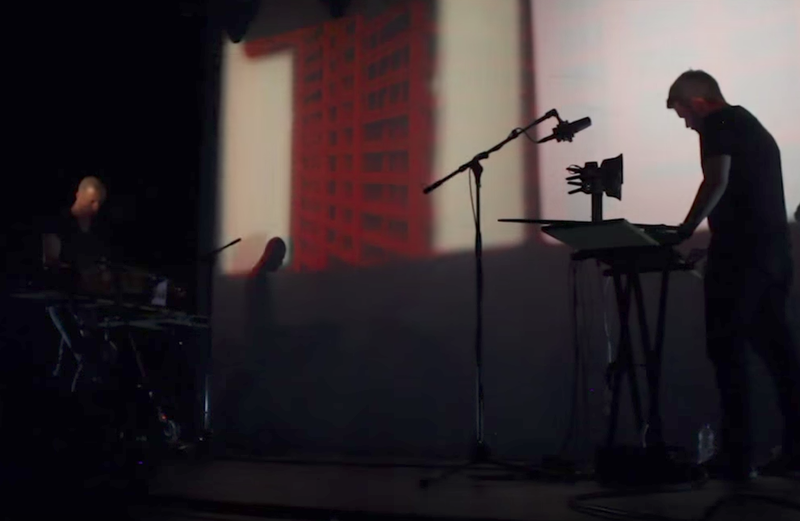 With live performance as their backdrop, Félix-Antoine Morin and Maxime Corbeil-Perron took to the studio in 2014 for their first album. 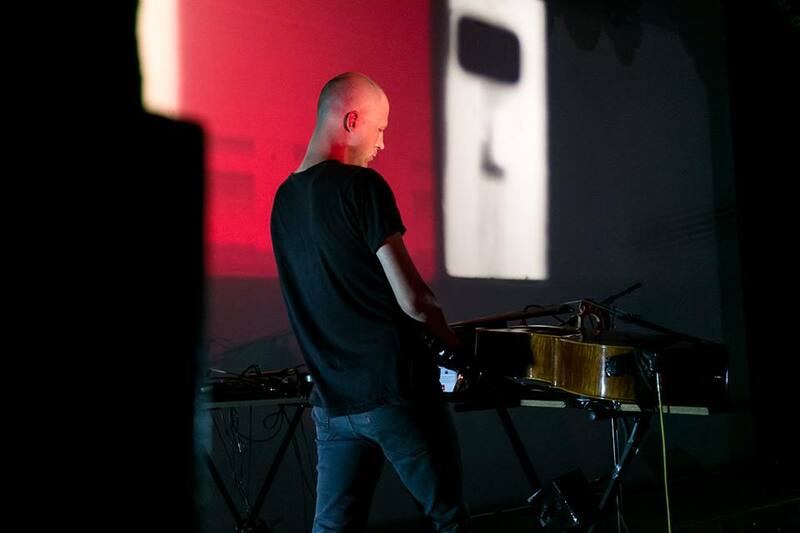 Corbeil-Perron is a multidisciplinary artist who has created film and video work and interactive installations shown at international events and festivals, as well as making electroacoustic and mixed-media music as Le Pélican Noir and solo – he also started a PhD at the Université de Montréal in fall 2015. A visual artist as well as an electroacoustic composer, Morin works solo and collaborates with contemporary choreographers, videographers and several other musicians, finding inspiration for his poetic creations in the processual components of traditional and sacred music. Political Ritual has played arresting audiovisual shows at several underground venues in Montréal and at last year’s Suoni Per Il Popolo music festival, where complex, far out experiments in sound and vision are not only welcome but expected. After recently recording a followup full length for release in mid-2016, Political Ritual stages a powerful new live performance in MUTEK’s enveloping BWR space. La musique des moines Tibétains (Bön, prononcer beun) par exemple puise du silence une partie de son inspiration. Pendant la méditation qui peut durer des heures, la qualité auditive des moines s’aiguise jusqu’à s’ouvrir à tous les des sons ambiants habituellement difficiles à percevoir, comme les bruits internes de leur propre corps (cartilages, organes, respirs, afflux sanguin). Leur musique traditionnelle sacrée est une exemplification de cette expérience sonore intime générée par la méditation. 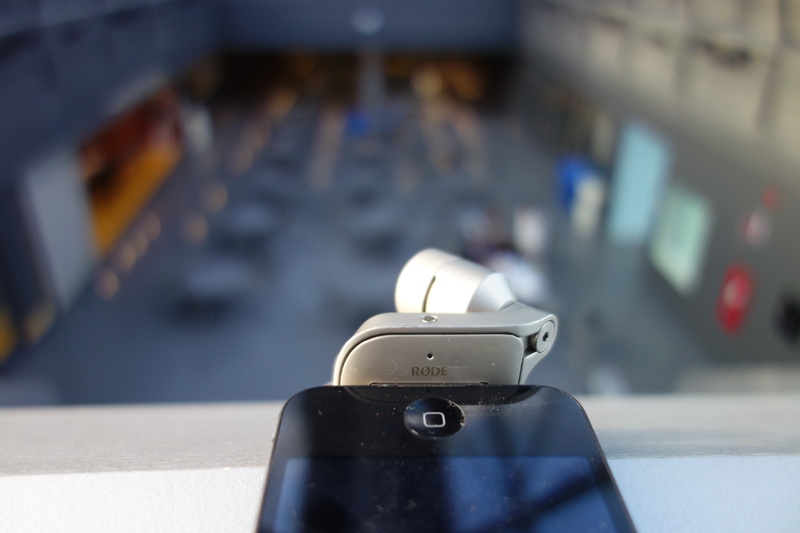 Inspiré par cette expérience de l’accès au sonore que contient le silence, j’ai décidé d’utiliser des appareils d’enregistrement pour aller “lire à la loupe” les supposés silences d’espaces abandonnés. J’ai donc fait la capture sonore (et utilisé certaines de mes archives) de lieux qui semblent a priori silencieux, tels que gymnase, musée (NY), studio de boxe, temples (Inde), tunnels (Wellington), cages d’escalier, désert du Thar (Inde-Pakistan), couloirs, stationnements intérieurs et autre lieux “vides”. Captés par des appareils d’enregistrements puissant, les silences, plusieurs fois amplifiés, se sont révélés riches et complexes. Présentée dans cet endroit lui aussi abandonné et vide – un ancien salon de message érotique – cet installation vient ré-exposer les détails des silences de ces enregistrements. Pour chacune des pièces de l’espace, un environnement sonore particulier. Cependant, selon la position où l’on se trouve, ces différents environnements s’entre-croisent également et se contaminent les uns les autres dans un jeu psychoacoustique. En référence au principe des “room tones” en cinéma qui consiste à ajouter un espace sonore de fonds pour qu’une scène ne soit pas totalement silencieuse, cet installation comble le silence de cet espace abandonné en y exposant les “silences révélés” des autres lieux vides que j’ai enregistrés. Mobile sonore constitué de deux ventilateurs industriels, ainsi que de plusieurs microphones placés devant chacun d’eux. Ceux-ci sont provoquées par le vent puissant soufflé par les deux machines. Une stichomythie symbolique, visuelle et sonore. Commissioned piece (including media and score) for the Table of Babel. Invented instrument produced by the instrumentarium at Productions Totem Contemporain. Studio Residency at HELLERAU – European Center for the Arts Dresden- Germany, from october 15th to december 15th 2015. World premiere will be held on 4 June, 2016 at the Les Totems Électriques VIII concert in Montreal.